In the light of Spring finally coming around, I thought I would share with you my thoughts on some Spring & Green products that I can't get enough of at the moment! I actually wrote about their night cream a few months ago, yet another beautiful product that you can read all about here. 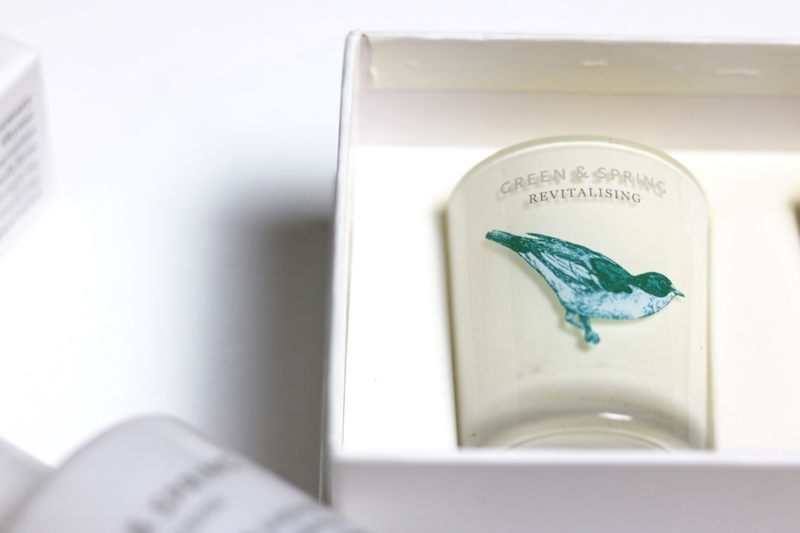 I fell in love with Spring & Green a fair few months ago now on Instagram, I really love their design. The little birds are just the cutest! 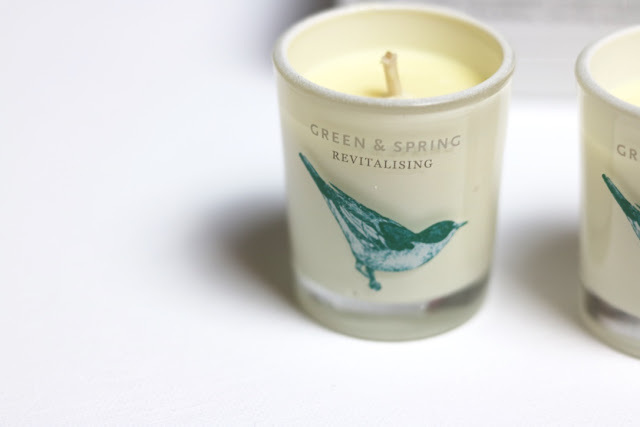 The products are all inspired by the British countryside, and you can really smell it in their products. The Revitalising range is no exception. 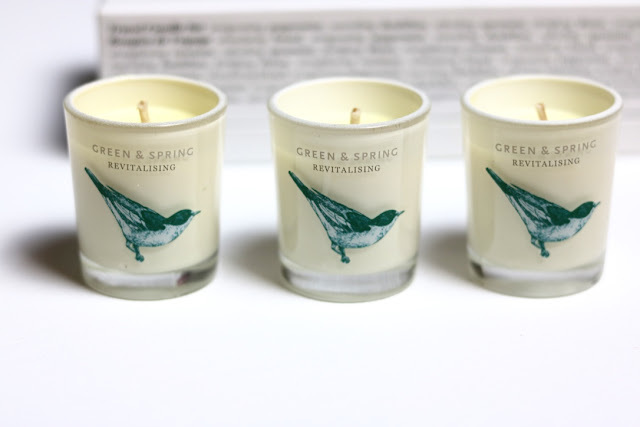 The Revitalising range from Green & Spring is the ultimate Spring scent. It is incredibly fresh and clean. The main scent is the peppermint, but it is not overpowering at all. You can also smell the hints of different flowers and definitely a hint of the fennel. Honestly, I am so hopeless at describing smells! It smells SO good, that perfect fresh scent to say goodbye to those miserable Winter months! I have been using this body wash for quite a long time now and I really am quite the fan. As it is an exfoliator, it does have the little exfoliating beads in it. These work really well to get rid of dead skin and leaving your skin feeling rejuvenated. I particularly like using it a couple of weeks after I've had my legs waxed, when the hairs are starting to grow through again. 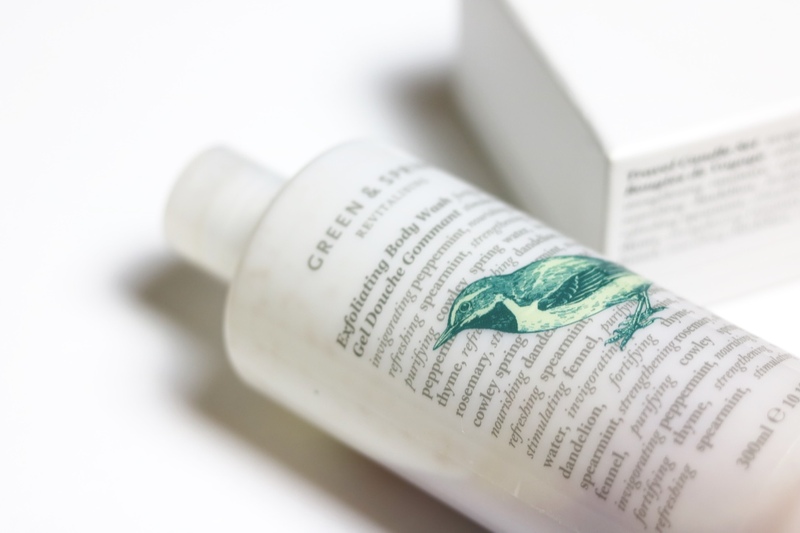 As it does contain peppermint and spearmint, the body wash does tingle a little on the skin. I am quite a big fan of this, adds that extra dimension to my shower! I love the look of these candles so much that I couldn't bring myself to light them for the longest time. I have been waiting for Spring to come along, because the scent really would have been wasted at any other time of the year. Now that the sun is shining through the windows, I've started lighting the candles to fill my flat with the fresh scent of these candles. Again, the scent is not over powering, but it really does lift my mood and they're getting me very excited about Summer. The candles come in a set of three that come in a pretty little box. You really do only need to light one candle to get the desired effect. For someone who really struggles with lighting candles, having three is great for me! They last me that little bit longer. They would make a lovely gift! 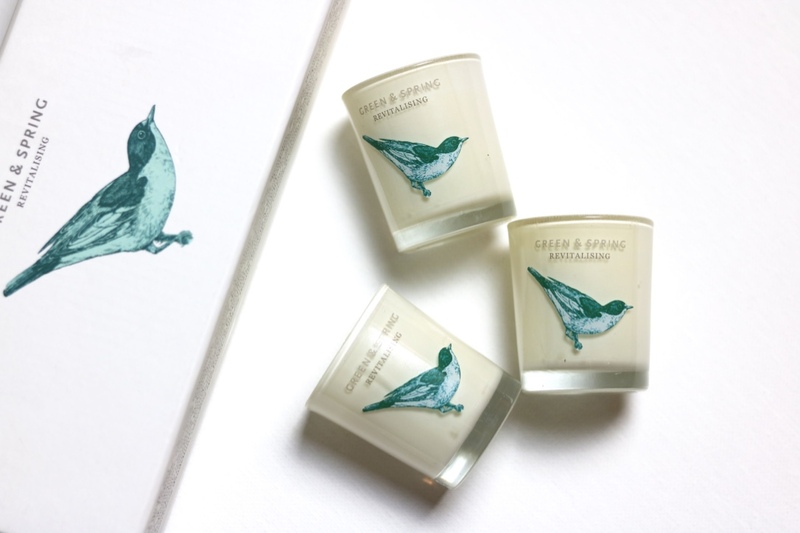 If you're still looking for Mother's Day gifts - definitely check these candles out! I have noticed that there is a special Mother's Day treat on the website as well, definitely worth a look. All in all, I have been really impressed by Green & Spring products. The products are all of very high quality and they smell so good - all very unique but beautiful scents. I really do think that they have encapsulated the British countryside in their products. Thank you for reading I hope you liked my review! 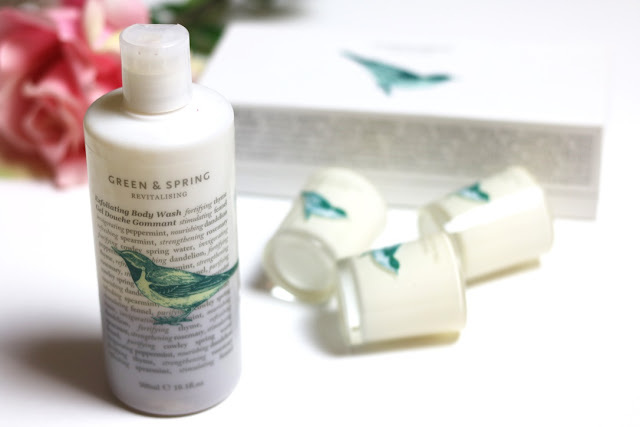 Do let me know if you've tried any Green & Spring products!